Handmade paving products are seeing a marked increase in demand as home-owners recognise that a slightly higher price equals greater return in terms of quality and finish. Richard Oates, Landscaping Category Manager at Travis Perkins, discusses the benefits of not only choosing natural products but ensuring they are ethically sourced. Increasing levels of stone are being imported from the far corners of the world. Limestone from China, sandstone from India, granite from Brazil and China, and marble and slate from southern Europe are now a common sight in most merchant yards. As import levels increase, guaranteeing that the sources are ethical has become a priority. 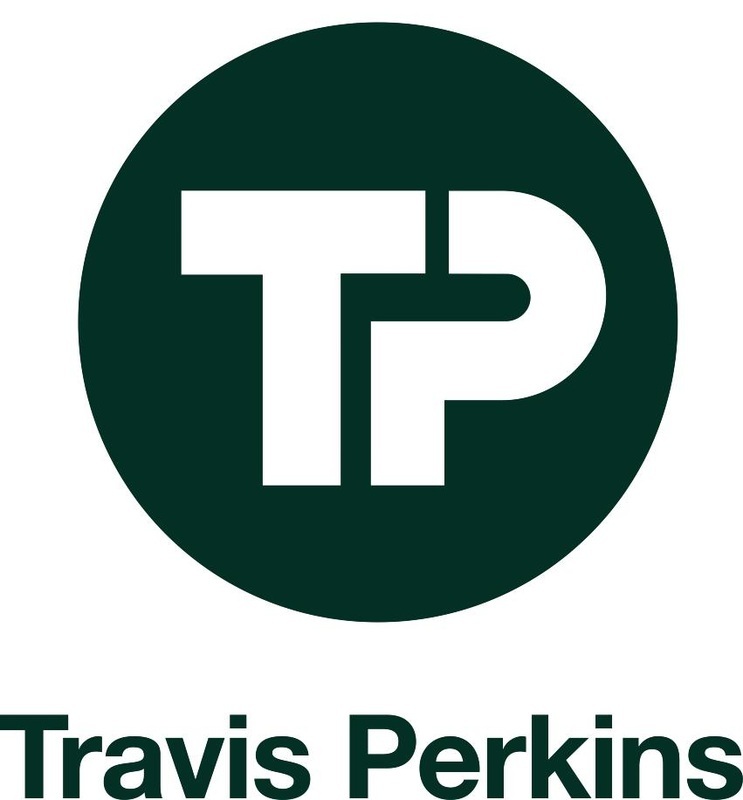 This has led merchants such as Travis Perkins to invest in new approval processes to ensure products are sourced from quarries which will provide the best possible quality and treat its workforce fairly. One of the reasons that natural stone is considered to have quality and aesthetical advantages over manufactured paving products, is due to the care and human skill that goes into the mining process. The Travis Perkins sourcing team was able to witness these methods first-hand on a recent trip to its chosen sandstone quarry in India. The sandstone seams are first detected and extracted through bore holes filled with expanding chemicals. The resulting blocks are dried in the sun before being split into the smaller layers that we would recognise as paving stones. Each one is then finished by hand to give a clean and uniform appearance. The best slabs are selected and checked at a dedicated factory before being packed into hand-built, timber crates. The crate itself is very important. Adequate protection is ensured by only using crates that are made from straight timber. This not only means a stronger and more protective shell but contributes to secure stacking which prevents toppling in transit. This straight timber has also been ethically sourced to add to the overall credentials of the product. After all of this work has taken place on the factory site, final delivery to the UK is made via secure modes of transport such as by rail and ship. This stage is crucial to our branches receiving the paving undamaged and in its original glory. As of July 2013, it is illegal to supply stone without a declaration of performance and to use timber crates that haven’t been fumigated. However, choosing a reputable merchant gives the added reassurance that a process such as the one described is in place and the most ethical, environmentally friendly, and value adding landscape product is being purchased. It is commonly agreed that natural paving is able to stand the test of time to a much greater degree than an alternative material which will potentially erode to expose aggregate. 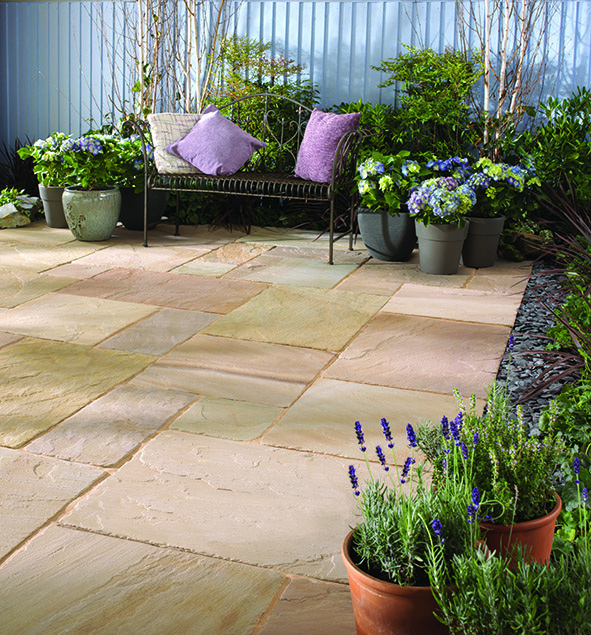 Stone, such as limestone or sandstone, arguably gets better with age as the natural pigmentation is exposed whilst remaining as strong and secure as when it was first laid. Many homeowners also prefer the fact that each slab or stone is unique in tone or texture, ultimately creating a bespoke finish every time. 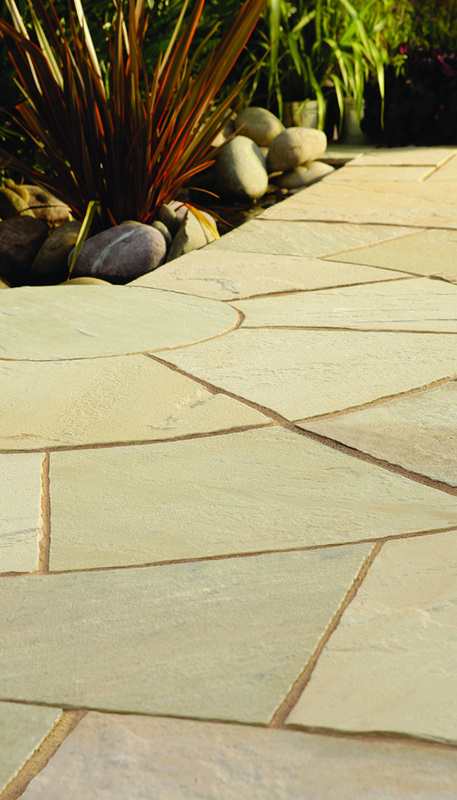 Natural stone paving is relatively low maintenance once laid. The pointing is perhaps the weakest element and the only part which might need replacing after a number of years. The only possibility is that algae, lichen, or moss might occur, but it can be safely and easily removed by a pressure washer or stiff brush. Not only is stone aesthetically pleasing, available in a vast range of colours and finishes such as 'sawn', 'riven', 'antiqued 'and 'flame-textured', but it withstands all weather types, making it naturally frost resistant. This is in comparison to manufactured alternatives which can be overly porous and are therefore more likely to go green. The environmental and ethical aspect to a natural product is undoubtedly appealing to a segment of the homeowner market. Organic by nature, the stone avoids an industrial manufacturing process altogether which has obvious energy saving and environmental benefits. Not only a plentiful resource, stone paving can also be recycled to be used as reclaimed paving or crushed for aggregate use. A hand-made product such as Indian sandstone commonly equals a greater initial budget and there are always projects and situations where artificial alternatives will tick more of the required boxes. However, the strengths of natural stone will often provide a better return on investment through the creation of a project that not only looks unique but can even add value to a property.